Walking around Ballingarry one afternoon earlier this week, the places of immediate architectural interest included the two parish churches, the former Church of Ireland parish church and JJ McCarthy’s Gothic Revival Church of the Immaculate Conception, and two dominant houses of historical interest, the ruins of Ballingarry Castle or Parson’s Castle and The Turret, with its Dutch gable and the curious tale of its Cross and three Crescents. 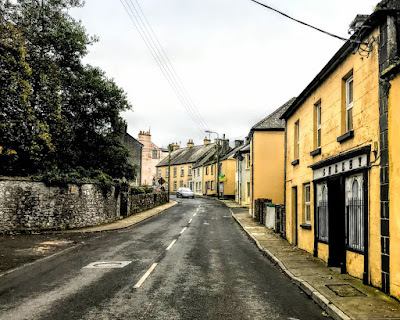 But this sleepy Co Limerick village also has a number and shops and interesting commercial and domestic buildings that from the early and mid-19th century that illustrate how Ballingarry was once a thriving market town until the Victorian era and the Great Famine. The sign at Trainor’s Bar on Main Street says it was founded in 1820, but other signs on the windows indicate that Ballingarry once had its own hotel long before the Mustard Seed opened in the former convent. The raised letterings, entablatures and fascia boards on façades indicate how many once busy shops and public houses have closed in recent decades or have been converted into private residences. 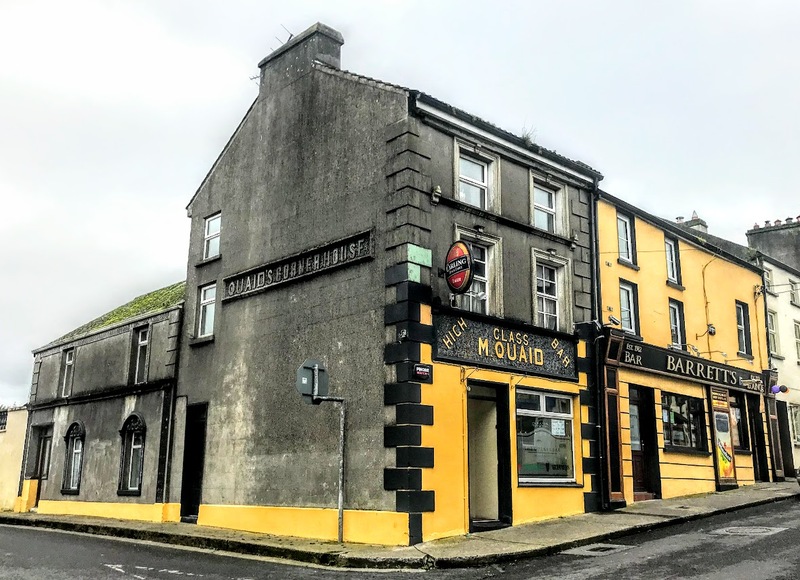 Aidan Quaid’s Fitted Furniture business, which stands on the prominent corner of Main Street and Knight Street, near the bridge, may have been a pub in the past, judging by its appearance and its location. 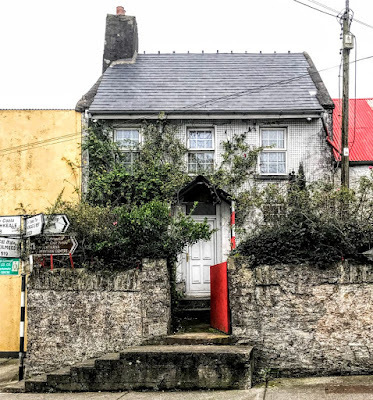 This is an end-of-terrace, three-bay three-storey premises and was built around 1840. The front of the shop and house has a render shopfront. 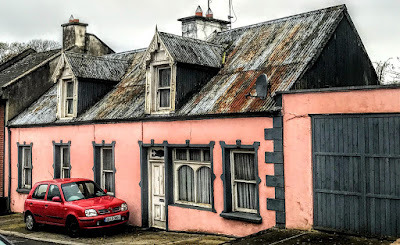 There is a pitched slate roof with rendered chimney-stacks, there are rendered walls and render quoins, and the square-headed windows have moulded render surrounds and painted sills, while the square-headed door opening has a timber panelled door, a moulded render surround and a glazed over-light. The three-part shopfront has render pilasters, scrolled consoles with acanthus style motifs supporting the moulded render entablature over a render fascia with raised lettering. 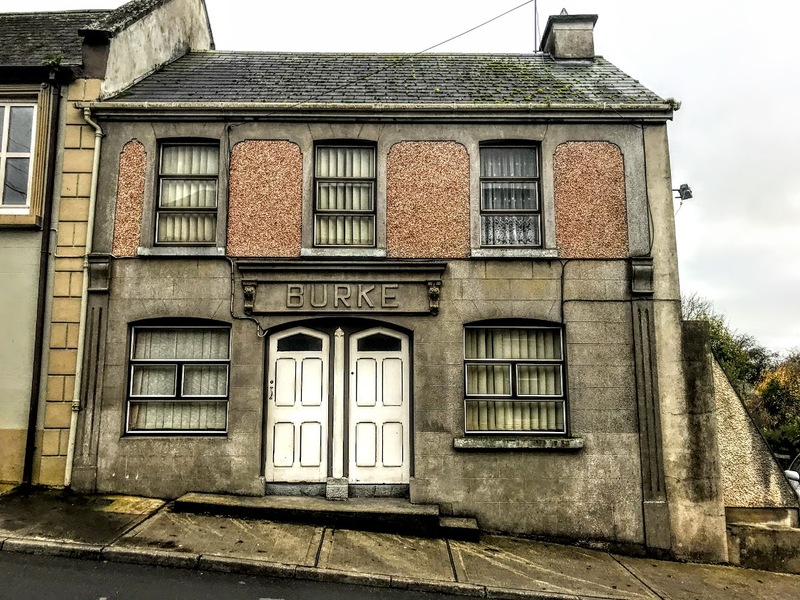 This is a substantial building with a strong façade that has many artistic details and its solid massing and decorative render elements make this building stand out in Ballingarry. 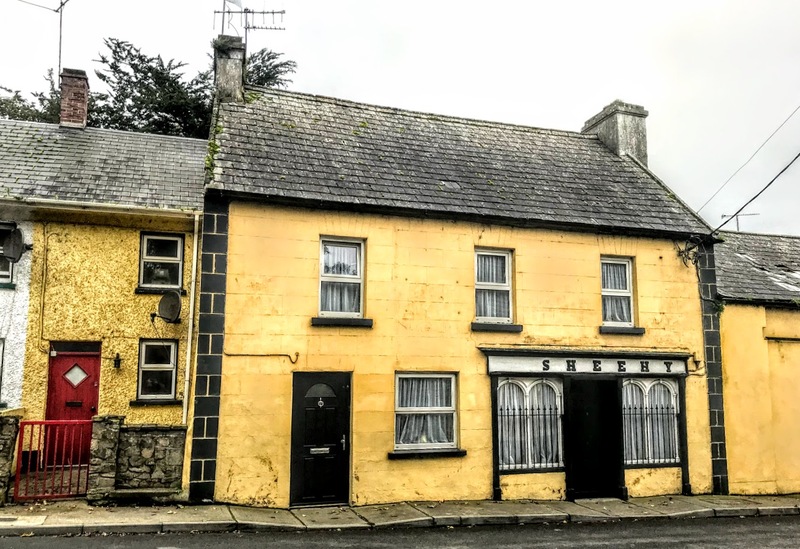 Sheehy’s is an earlier, terraced, three-bay two-storey house and former shop that was built around 1800. It stands on the Main Street, opposite the gate and tower of the former Church of Ireland parish church and one time also served as the post office. 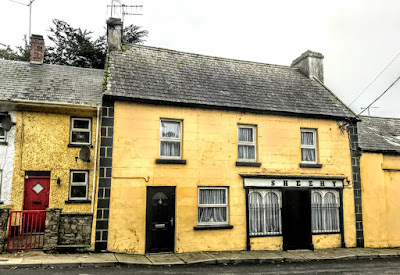 The building has a timber shopfront, a pitched slate roof with rendered chimney-stacks, lined-and-ruled rendered walls with render quoins, a half-glazed timber panelled door, one-over-one pane timber sliding sash windows and painted stone sills. The still-attractive shopfront is in three parts, with timber engaged columns supporting the entablature over the fascia with raised lettering. The round-headed fixed windows have carved timber surrounds, the square-headed opening is flanked by timber engaged columns and there are timber battened double-leaf doors. Further up Main Street, on the corner with Pound Street, Quaid’s Corner House is another pub in the town with raised lettering and attractive signage, and it forms a colourful corner on the streetscape alongside Barrett’s next door. On the hill. 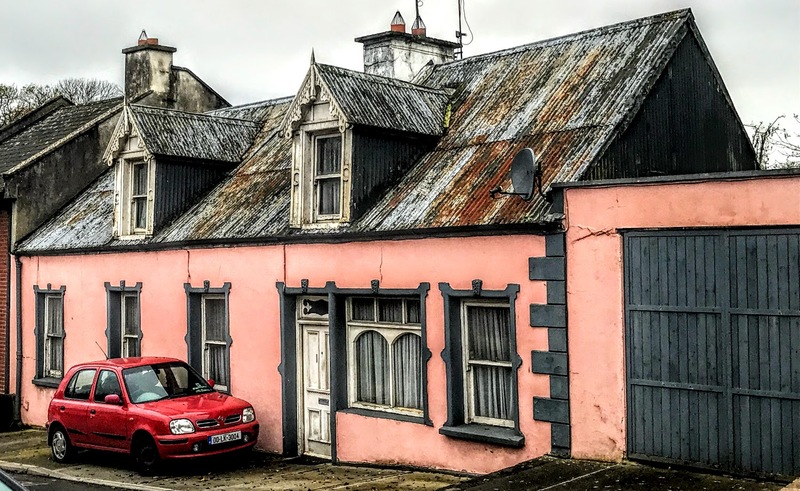 leading up to the Turret and McCarthy’s church, a long pink house with dormer windows is one of the many unusual private family homes in the town. 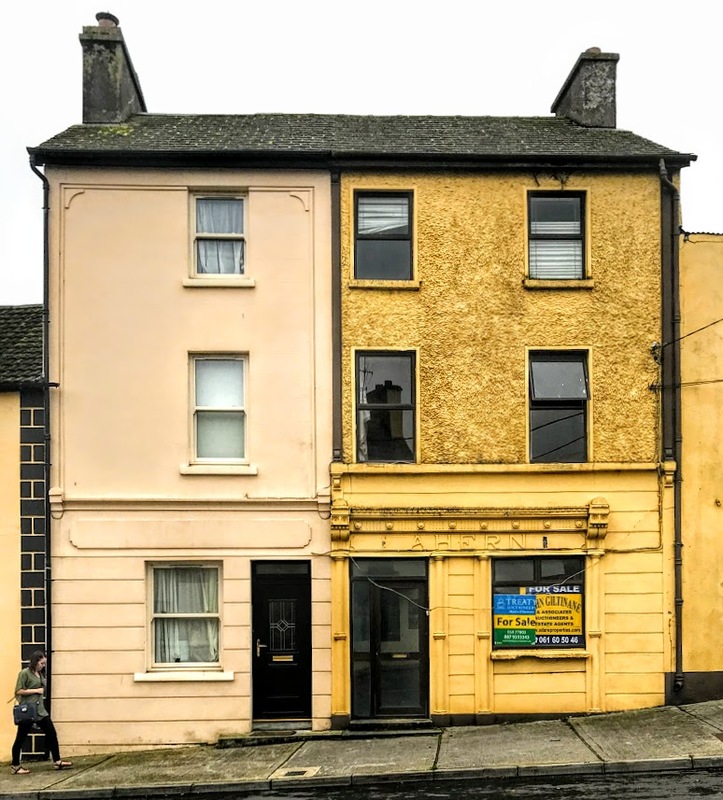 This house may have been built first as two separate houses, and the ground floor window and door arrangement suggests that the building may have once been a shop or pub. 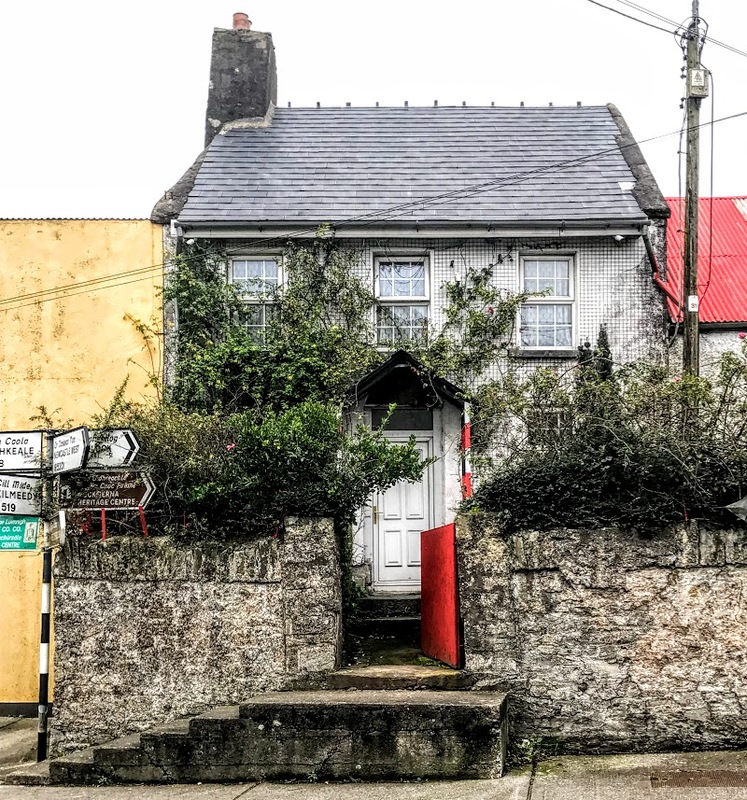 This terraced, six-bay, single-storey house with two dormer windows was built around 1840. The house has rendered chimneystacks and carved timber bargeboards with finials to the dormer windows. The rendered walls have render quoins at the north end-bay. 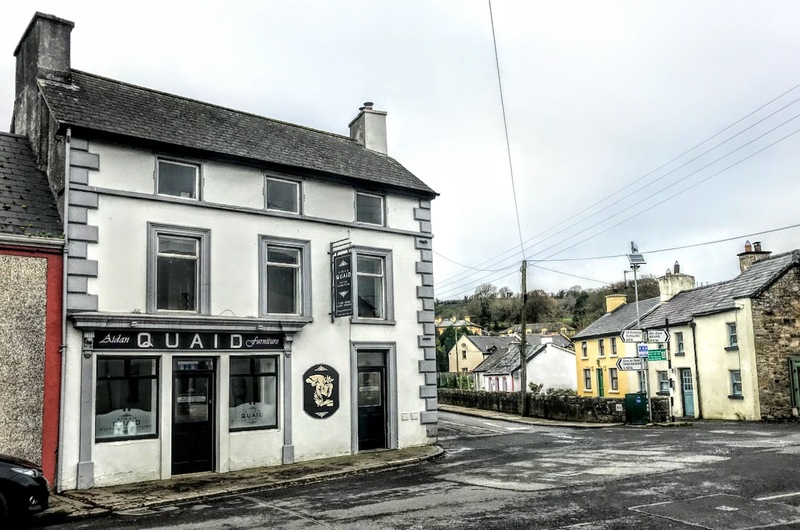 The windows have square-headed openings with decorative render surrounds, painted stone sills and one-over-one pane timber sliding sash windows. An interesting square-headed display window has a bipartite fixed window and tripartite overlight. The square-headed windows in the dormer attic have one-over-one pane timber sliding sash windows and timber surrounds with recessed panels. Throughout the town, there are many other attractive and often half-hidden Georgian, Regency and early Victorian houses that could benefit from further attention by architectural historians.